Hi guys, and welcome to my first ever ‘Bookish Bites’! I wanted to try this kind of post because there is sometimes so much bookish news out there that I’d love to talk about. New books being announced, movie or tv show adaptation news, cover reveals, title reveals, you name it! And while I do flail about them on Facebook or Twitter, I don’t really talk a lot about it here. But I still wanted to do that! So I though it might be nice to recap some of these in one big post every few weeks. What do you think, would that be nice to talk about, or would it be old news for you by then? Let me know what you think in the comments! Anyway, here’s some of the latest news in book world! 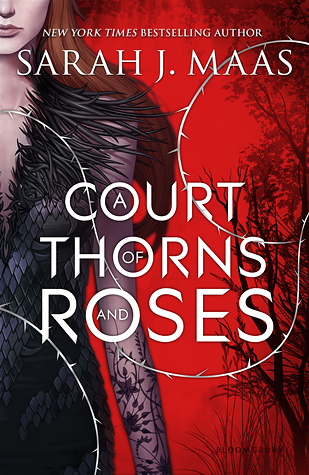 Of course I want to start this post of with some Sarah J. Maas news. These are kind of my favorite series at the moment, so I couldn’t be more thrilled! 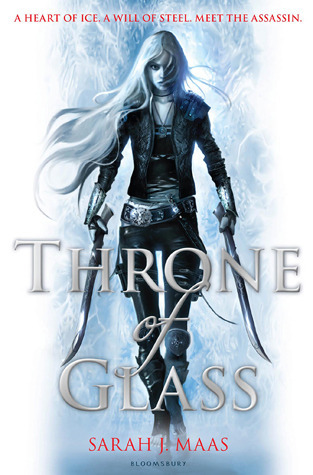 The news was officially released on Entertainment Weekly mid July that Sarah J. Maas will be writing more books in both the Throne of Glass and the A Court of Thorns and Roses series. And yesterday she also went into a bit more detail in her monthly newsletter. I don’t know about you, but I am pumped! I am not ready to say goodbye to these worlds yet, so this is perfect. 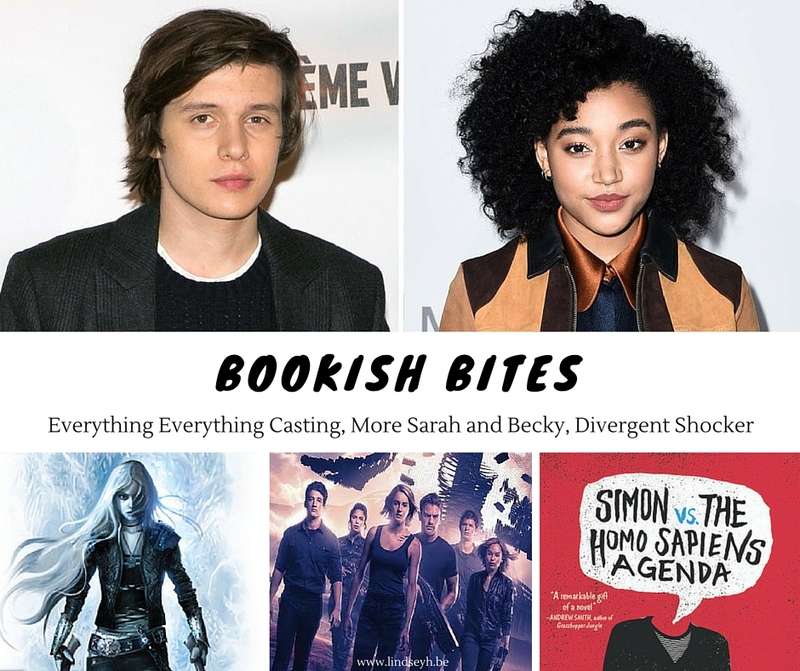 Not only will the beautiful Everything, Everything by Nicola Yoon be adapted into a movie – the movie already has a director (Stella Meghie), and now also its two main characters! 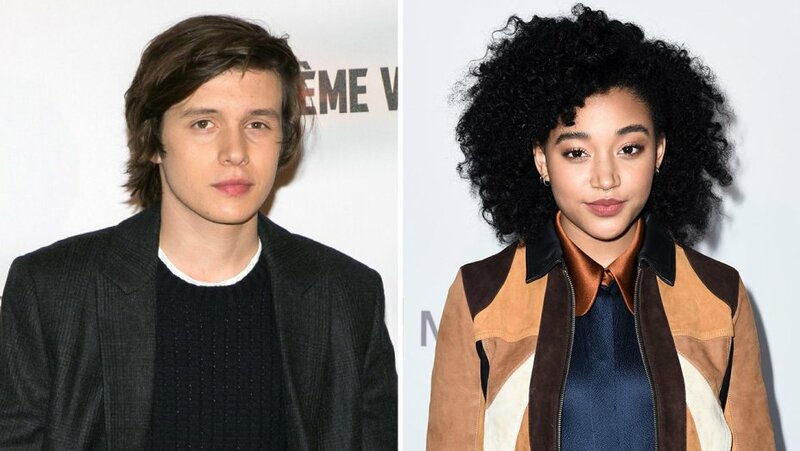 Amandla Stenberg (known as Rue in The Hunger Games) will be playing Maddy, while Nick Robinson (known from Jurassic World and The 5th Wave) will be playing Olly. Yoon’s debut novel follows Maddy, a teen who has severe combined immunodeficiency (SCID), a rare disease that causes her to be allergic to practically everything. She has spent 17 years hiding out in her home, only seeing her mother and her nurse, Carla. But when a boy named Olly moves in next door, Maddy begins to fall in love. I loved this book so much and I think Amandla and Nick are the perfect casting. I can’t wait to see them as Maddy and Olly. 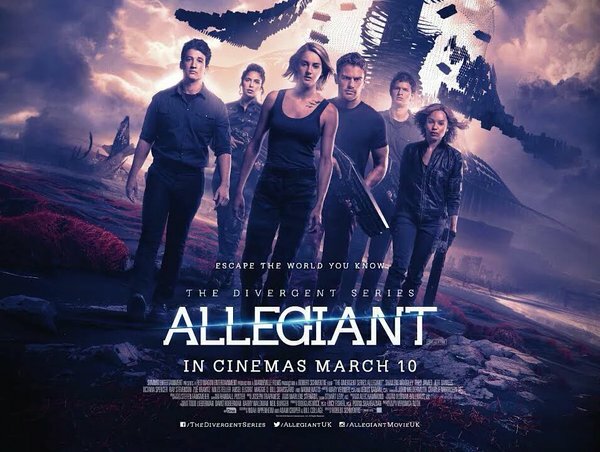 In more shocking news, the final installment in the Divergent series (Ascendant) will most likely not get a theatrical release. Instead Lionsgate wants to wrap up the film series with a TV movie that would introduce characters for a potential spinoff TV show. The plan is still in the early stages though, and it’s not even clear yet if the current cast (Shailene Woodley, Theo James, Ansel Elgort and the rest of the cast) would even return for the TV movie. Balzer + Bray has bought two new books from Becky Albertalli, for publication in spring 2018. 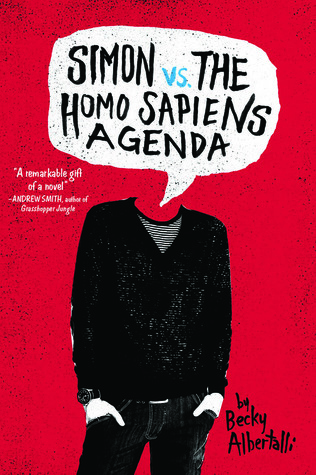 Becky Albertalli is known for her previously published book ‘Simon vs the Homo Sapiens Agenda’ and her upcoming new novel ‘The Upside of Unrequited’. According to Becky herself, the first book at least will be about Creekwood High School, senior year, Leah’s POV. MEANING this will take place in the same world/school as Simon and since one of his best friends will have a POV, I think it’s safe to say we will be seeing more Simon as well. I repeat, MORE SIMON SPIER, guys! Again, I’m super excited about this and I’m sure these stories will be just as amazing as Simon vs the Homo Sapiens Agenda. 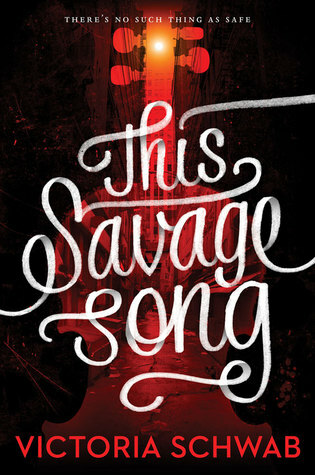 Sony Pictures has picked up film rights to the New York Times best-selling YA novel This Savage Song by Victoria Schwab. This Savage Song is a dark urban dystopian where monsters are real. This book has only just been released this month and I have sadly not yet read it myself, but it has received some raving reviews and debuted at number 1 on the New York Times’ best seller list. So definitely check this one out before the movie is here! More happy book-to-movie news! 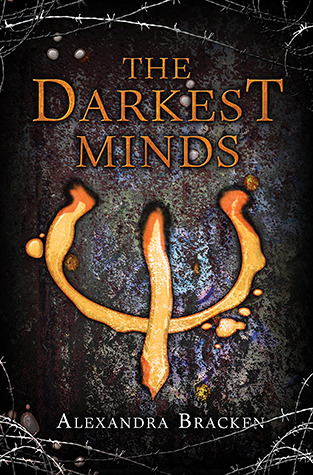 Jennifer Yuh Nelson, best known for helming the Kung Fu Panda movies, will direct The Darkest Minds, Fox’s adaptation of the YA dystopian trilogy written by Alexandra Bracken. In The Darkest Minds, a mysterious illness has killed most of the kids and teenagers. The ones who survive develop frightening abilities that are deemed dangerous and ultimately get them all locked up in rehabilitation camps. I don’t know about you, but I’m always super excited when a favorite book of mine is one step closer to becoming a movie. Well, excited and a little nervous, but I have full faith in this! Looking forward to the first casting news! What do you think of this news? Do you know of any other bookish news that happened lately that I did not mention? What do you think, is this a nice kind of blog feature that would be fun to have more of? The director for The Darkest Minds seems like such a random choice!! I love those books so much so I hope the movie adaptation is good! !